Originally this building was Antonio Borgogna’s house-museum that he later decided to open to the public in 1908. Antonio Giacomo Francesco was born in Stroppiana (Vercelli) on July 27th, 1822, son of Margherita Burzio and Francesco Borgogna, a land surveyor and landowner. Third-born of five children, as soon as he earned his law degree in Turin in 1846, Antonio helped his brother Domenico in the management of their family’s extensive estates. Liberal-progressive, Borgogna entered local politics. In 1860, before he was 40, he was elected city councilman and served in that capacity for ten years. In 1870 he withdrew to private life and travelled a lot both in Italy and abroad. He visited international exhibitions, attended many antiques auctions, feeding his passion for art and developing his interest in modern farming practices. In 1882, Borgogna bought Ferrero Palace in San Francesco street, Vercelli, and expanded and redecorated it according to the design of surveyor Ettore Tartara. The building was initially destined to house his collection, with the intent to turn it into a real museum year after year. In 1895, he donated the Sodoma marble bust, sculpted by Francesco Porzio, to the city. Today the bust is still displayed in the recess of the building on your right when you enter Cavour Square from the south end. 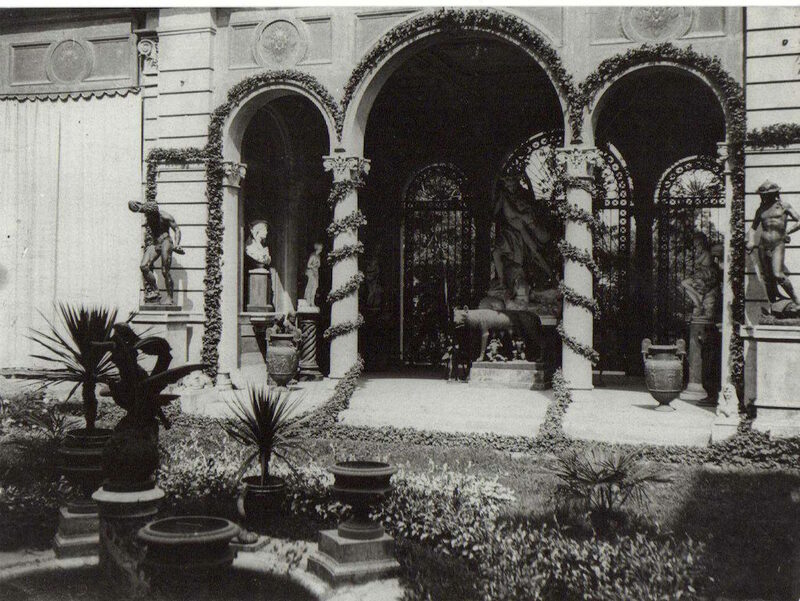 In 1899, Borgogna expressed his intention to donate the building and his collections to the city of Vercelli. Liberal and philanthropist, Antonio Borgogna ﬁnanced the establishment of social welfare institutions like boarding school, charities, kindergartens, hospital, worker houses and friendly societies. 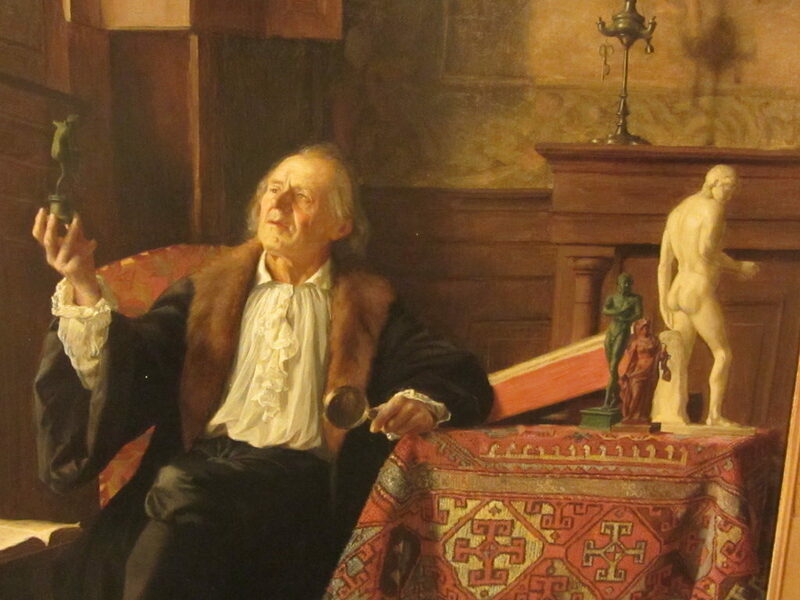 He was convinced that education was crucial and for this reason financed and supported didactic institutions for professional training of lower classes and women (for the latter he ﬁnanced a scholarship in medicine and the school of lacemaking). He promoted and upgraded handcrafted jobs, founded the “Professional and Philological School Francesco Borgogna” of Vercelli and the School of Lacemaking; he also provided funds for scholarships to offer to very talented students of the Institute of Fine Arts of Vercelli so they could specialize at the Albertine and Braidense Academies. As was his wish and indicated in his will, different public monuments were erected: among them we mention the monument to Umberto I (erected in 1907 next to St. Andrew’s abbey), the monument to Carlo Alberto (sculpted by Guido Bianconi and inaugurated in 1909 at the Sant’Eusebio Cathedral square), the monument of the Agriculture Fountain (built consequently to the contest won by Attilio Gartmann and inaugurated in 1910 in St. Andrew’s gardens). Antonio Borgogna never got married and never had children. He died in his house in Vercelli on January 19th, 1906. Antonio Borgogna invested all the money made from rice business in works of art, artistic handicrafts and philanthropy. He also became member of the Institute of Fine Arts. When in 1907 the other great collector of the city, Camillo Leone, donated his museum to the Institute of Fine Arts of Vercelli, the Borgogna Museum became a prestigious art destination with its eclectic collections as well as a location to teach people, painters and sculptors the sense of beauty. Painters and sculptors also had the opportunity to practice and use the works of art as samples. That resulted in Francesco Porzio’s sculptures and Francesco Crescioli’s wooden carvings. Borgogna’s friendship with painter and art conservator Ferdinando Rossaro turned out to be very proﬁtable: not only was Rossaro teacher of painting at the Institute of Fine Arts, but also Borgogna’s good advisor for purchases and restorations. Enthusiastic traveler and collector of exotic objects, Borgogna travelled a lot to visit art galleries and the most prestigious museums in Italy and abroad (Spain, Egypt, Middle East, Norwegian, Germany, Switzerland, France, Belgium, Holland, England and Russia). He also attended contemporary art exhibitions, held by the most important Italian Academies, as well as National and International Exhibitions. Borgogna called his collection “Gallery” reflecting his ideal microcosm tailored on his own aesthetic sense, a veritable source of all arts and techniques. Antonio Borgogna’s initial purpose was probably to found a private museum of ﬁne arts according to the European trend of that period. 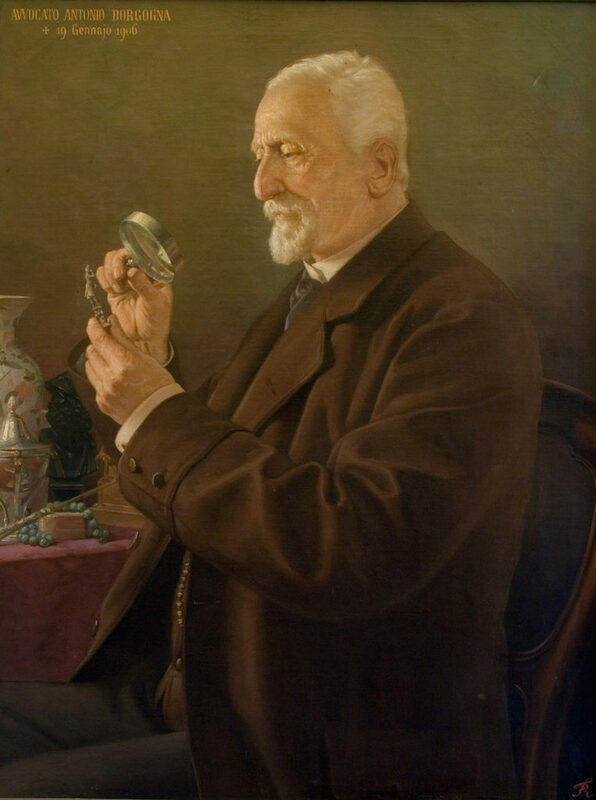 Indeed, in the decade of 1880s, he bought some works and some pieces of furniture at National Exhibitions where it was given the opportunity to learn all the techniques specific to all Italian regions. To his collection he added Italian and European works of art: carvings from the region of Veneto, Florentine “commesso in pietre dure” (semi-precious stones mosaic), Roman minute mosaics, Lombard Certosina carvings, Meissen, Sèvres and Ginori porcelain, German ivory carving and several contemporary paintings and sculptures. In the decade of the 1890s, he developed his interest in both Italian Renaissance classical paintings and Dutch paintings from the seventeenth century. He bought high value canvas at the most important European auctions, probably following the advice of one or more experts. Among his friends, not only we remember painter Ferdinando Rossaro, but also Gustavo Frizzoni, art historian and Giovanni Morelli’s student, corresponding with the great critic Bernard Berenson. In thirty years, Antonio Borgogna collected more than 3000 works decorating the rooms of the building. All of these objects have been classified in his catalogue published in 1903. Giving the lack of letters and purchase documents, such catalogue/inventory was an essential tool to discover how these works initially looked and to faithfully recreate some spaces of the museum in the new set up of 2008 reminding of the house-museum. Borgogna founded the museum as a tribute to his dear departed father Francesco to whom, as we can read in Antonio’s testament dated 1904, “I owe everything: life, emotions and wealth”. Thus, he decided to name the museum, housing the collection of works that became public-owned, after his father “Francesco Borgogna Museum”. The testament reads: “To my beloved city, Vercelli, where I spent most of my life and quiet days, I leave my house in San Francesco street in the infantry neighborhood, with the farm building annexed to it and the gardens, in order to adapt it as a permanent and modest museum or collection of ﬁne arts named after F. Borgogna. With the above-mentioned purpose and for the embellishment of my city, I also leave all the works of art and collection pieces I own and all the works I purchased during my travels as well as the furniture at the ground ﬂoor and in the gardens, the ornaments of the windows, books and library, tables, chairs, cupboards and cabinets, buffets, prints, drawings and similar, as much as they can be used in the new museum and in the future”. In 1924, a large part of his library was transferred from the collection to the Civic Library of Vercelli. On April 8th, 1882, lawyer Antonio Borgogna purchased Ferrero palace, a two ﬂoor building dating back to 1830 and overlooking San Francesco street, with a large garden adjacent to the important church of the observant Franciscan Friars. Borgogna immediately decided to expand the back of the building to house his collections. As per Borgogna’s request, Ettore Tartara expanded the two short wings of the building overlooking the back yard. The result was two new separate one-ﬂoor buildings joined by a shared double open-air entry loggia. These sections of the building do not look onto the street and constitute a sort of peristyle reminding of the Roman domus. The ground ﬂoor larger rooms surrounded the garden and were assigned to house the works of art collections. The house turned to be a real “House-Museum”. On the upper ﬂoor were the bedrooms. Antonio Borgogna kept the decorations of the ceilings and ﬂoors and assigned those of the new room vaults to the workers of the Institute of Fine Arts. That resulted in an eclectic and varied collection: from fake architectonic friezes to trompe l’oeil landscapes and classical themed grotesques. Every room of this house-museum takes its name after the use it was made of it (the library, the dining room, the green piano room), or after the type of works displayed (e.g. the room with large vases), or after the civilization it evoked (the Arabic room). 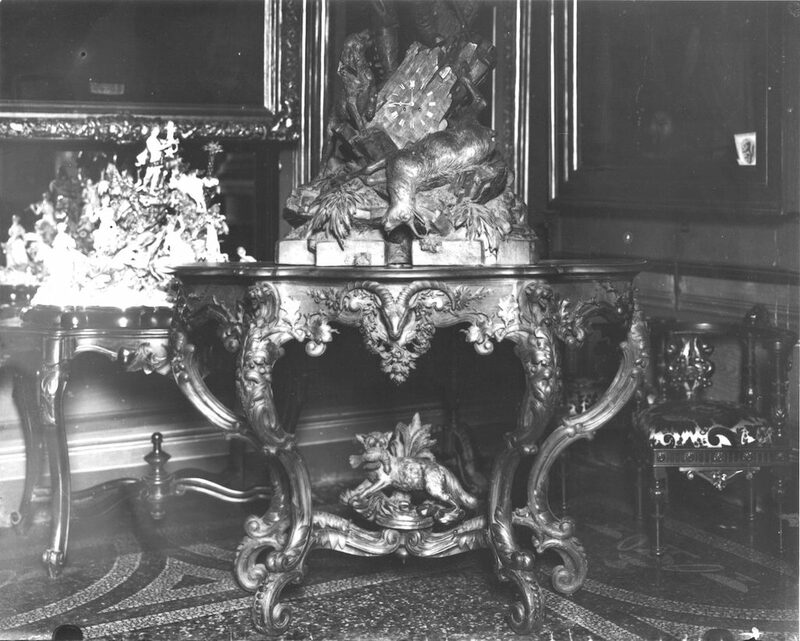 Furniture, decorative arts objects, paintings and statues are combined according to the aesthetic sense of that period, colours, materials, technique or subject.